This post was first published in March 2018 and updated in March 2019. 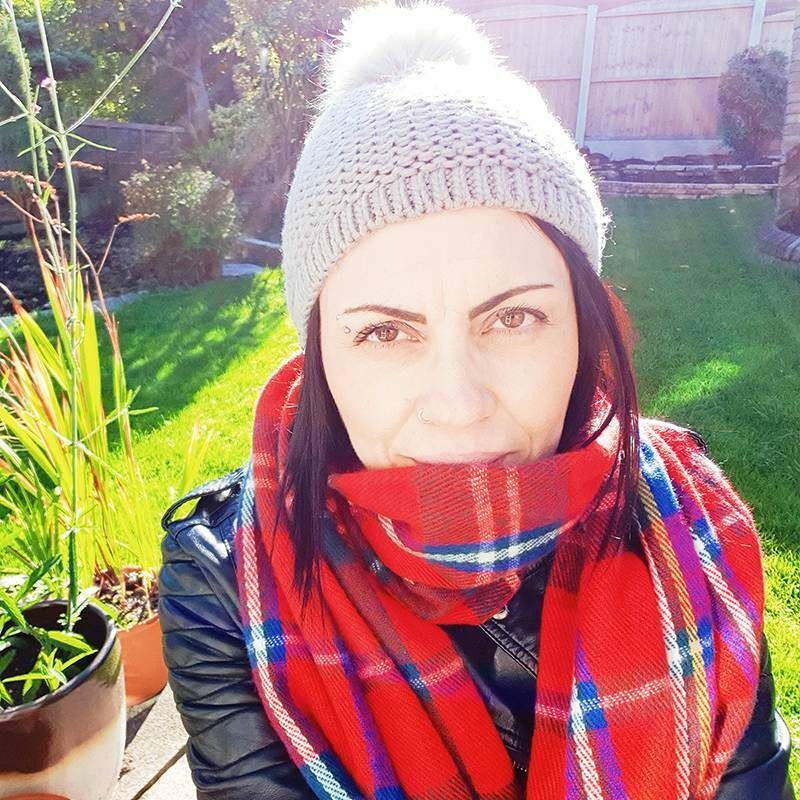 The last 12 months have seen some major changes for vegans and eating out is becoming easier than ever. 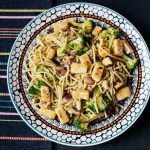 With places like Prezzo, Zizzi, Wagamama, Pizza Hut and Pizza Express offering vegan options on their menu, the choice is growing all the time. Here are my thoughts on some of the current offerings out there. I LOVE Zizzi! It’s been my favourite place to eat since the launch of their vegan menu. I always start off with the vegan garlic bread, which is served with full garlic cloves, smoked garlic oil and rosemary. What’s not to love? For my main course, I have either the spaghetti pomodoro with mushrooms, red chillies and caramelised balsamic onions or the rustica Margherita pizza, with mushrooms, caramelised balsamic onions and fire roasted red peppers. Sometimes we order one of each and share. If I’m going all out, I’ll have a side order of green beans – which depending on the restaurant is sometimes served with a sprinkling of sea salt. Other times they’re just plain green beans plonked on a plate! I once complained at a Zizzi restaurant because I found some mozzarella on my pizza. It wasn’t a big kick-off complaint (which I have a reputation for), it was a very reasonable, hey, I want to make you aware of this and can you please tell your chef to be more careful in future. The result? We ended up getting free meals with a free dessert. The manager was very apologetic and said due to my lifestyle choices it was completely unacceptable that it happened. It didn’t affect my opinion of Zizzi and it’s still my favourite place to eat. Mistakes happen. I just wanted to draw their attention to it, hopefully helping to prevent it from happening again in the future. Full garlic cloves as part of the garlic bread. I could eat it all day long. Most of the time, their customer service is really good. I hate cold food and the vegan cheese they use goes cold really quickly. Even though watching me eat has been compared to watching Formula One racing, I would prefer to eat at a slower pace and enjoy my food without having to inhale it before it goes cold. The service is always painfully slow. There could be as little as 4 tables occupied at a restaurant and everything will still take forever. From getting the starters right through to getting the bill. My second favourite place to eat is Prezzo. 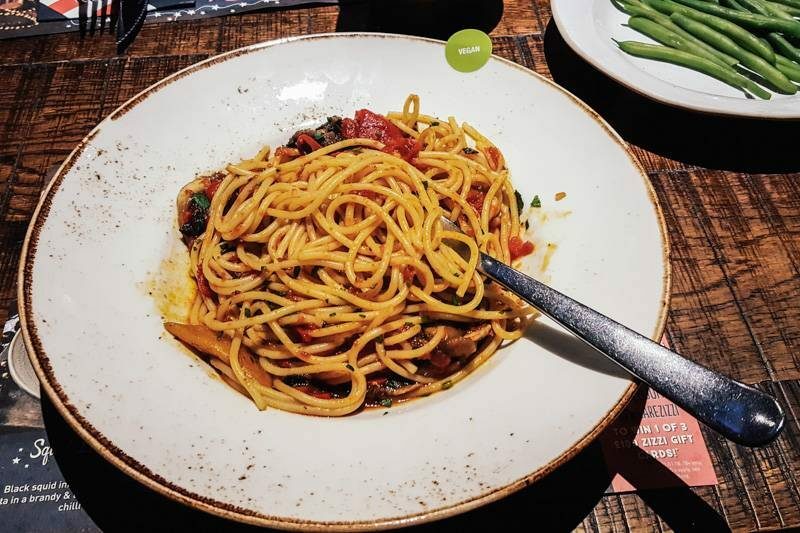 Even before they introduced specific vegan options, Prezzo was somewhere we ate regularly – even though the penne arrabiata was pretty much the only thing on the menu we could eat. Until we realised we could also eat the pitta bread dipped in hummus. The manager at our local Prezzo was really good (he recently left) and would bring us packets of food from the kitchen so we could check the ingredients before ordering. Now, they have vegan options on their menu including pizza, pasta and garlic bread. Even though our incredibly helpful manager left, the assistant manager is just as good. She makes sure we get an amazing vegan garlic bread made with chilli oil instead of milk, a tomato base, caramelised balsamic onions and chopped garlic. The garlic bread we order is nicer than the one at Zizzi. I know, right? I can’t have pizza because I don’t like the cheese they use. It tastes like feet. Just like Zizzi, the service can be slow. And depending which restaurant you go to, customer service can be a bit hit and miss. Towards the end of last year when Pizza Hut announced their vegan options, I was really excited to see what they were offering. Unfortunately, I was left feeling disappointed. Firstly, we made the mistake of eating in. Pizza Hut is basically a glorified McDonalds and it was full of kids screaming, whining and running around. Parents chose to surf their smart phones instead of interacting with their offspring. One dad even sat there watching a film on his phone, ignoring his family completely. While the pizza was good – the price was not. And after all the rave reviews across social media, I came to the conclusion that the bloggers shouting about it were probably producing sponsored content. Not one of them mentioned the price. They were too busy making yummy noises and high fiving each other. The menu said it served two. Ha! A 12” pizza to serve two? Maybe in the land of make-believe perhaps. Even with side orders, it would only just have been enough, and apparently, there were no vegan side orders available. So, we had one pitiful 12” pizza between us and then had to go home and eat all the food to fill ourselves up. With a price tag of £20 each, there was no way we were ordering a second one! We came to the conclusion, the best way to enjoy Pizza Hut is to order it as a takeaway on a Tuesday when it’s buy one get one free. The price tag, and also the service – it was terrible. Our waitress was a teenage girl who had the attention span of a goldfish and we had to keep reminding her to bring us things. Yes, I know. Pot. Kettle. Black. But at least I can do my job properly, with only occasionally getting distracted by shiny things. While I was busy devouring food at Zizzi, the vegan offerings of Wagamama were coming on in leaps and bounds. I love their new vegan options and as a starter, wok-fried greens are my favourite. I was a little apprehensive about trying the main courses, because most of the options list coriander as an ingredient, and I hate coriander. But I soon discovered the yasai katsu curry is a safe option and extremely delicious. My other favourite is yasai pad Thai. The meal itself doesn’t contain coriander, but the garnish does – so I always ask for it without. I also tell the server I’m allergic to coriander, because then they send over the manager to take your order. Doing this means there is no chance of coriander finding its way into my food. Yes. I really hate it that much. Depending on the other ingredients, the taste can sometimes be disguised. But what I don’t want to do, is order a meal and not eat it because it’s coriander central. Way before their vegan menu was introduced, Wagamama was my favourite place to eat by far. Their Yasai Chilli Men was immense, and I was upset when they stopped serving it. Shortly after, I discovered their chicken firecracker dish, so I swapped out the chicken for tofu thinking I’d found the perfect vegan option. Until I realised my new favourite dish wasn’t vegan at all. Thanks, chef. The chef at the restaurant seemed knowledgeable and told us the recipe changed occasionally, and to check each time we ordered that it didn’t currently include crustaceans. Fab. A few weeks later at a different restaurant, the manager seemed confused over the information we’d been given. She brought out the allergen/ingredient book and said even with tofu it wasn’t classed as vegan because it contained orange juice. It was a Saturday night and we’d already walked away from multiple restaurants due to the waiting times. I had no idea what made orange juice unfriendly to vegans, but knowing we wouldn’t find anywhere else to eat, through gritted teeth I placed my order, vowing not to look up the ingredients until after I’d eaten. It turned out orange juice can contain fish oil (omega 3), gelatin (made from animal skin, cartilage & bones) and lanolin derived vitamin D (a natural oil found in sheep’s wool). The moral of the story? Never assume something is vegan just because it looks vegan-friendly. Always check the ingredients with someone. Wok-fried greens, the customer service and the fact they serve free green tea. Eating a dish that isn’t vegan through misinformation. Tampopo is another restaurant we used to frequently eat at, before we switched to a plant-based diet. We ate there for the first time last year since going vegan, and were very happy with their vegan options. They have an extensive vegan menu, and we’ve tried all the starters apart from the sharing platter. My two favourites are the sticky tofu and corn fritters with a peanut dip. Yum! The katsu curry is my favourite main course. Service is always quick, and I love having multiple starters to choose from. I can’t have the pad thai, because coriander is mixed in with the sauce, rather than just being part of a garnish. 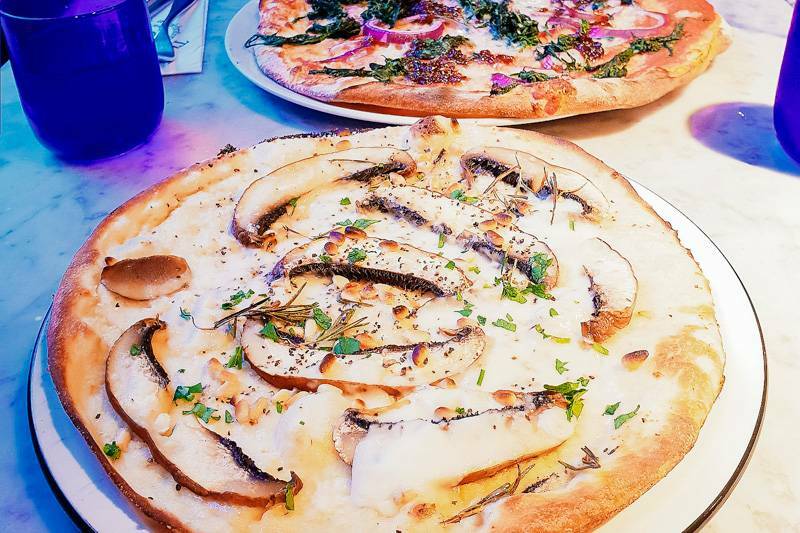 We visited Pizza Express for the first time in December 2018 and I can’t believe we waited so long! If I’m being brutally honest, I think the Pizza Hut incident put me off. Luckily, Pizza Express is nothing like Pizza Hut and we had a very pleasant dining experience. We ordered the classic mushroom and pine nut with a Romano padana, then shared. The mushroom and pine nut pizza was really tasty, but unfortunately, as it was a Christmas special, it’s no longer available. It isn’t anything like eating in at Pizza Hut! The Christmas special was also a winner. The vast difference between service depending on where you eat. The food at Pizza Express in Preston was amazing. It was delicious and hot, and the service was good. Visiting Pizza Express at the Trafford Centre was a completely different experience. They gave us an old menu, so we ordered the mushroom and pine nut pizza, only to be told it was a Christmas special and no longer available. They offered to make it for us anyway, as it was their mistake. But when it arrived, it didn’t look anything like the pizza we wanted. We also ordered two gluten free pizzas. But when they arrived, only one was gluten free and vegan and it wasn’t very warm. We had to wait for them to correct their mistake, but they still served us one that wasn’t gluten free. Not wanting to wait any longer, we just accepted it. When the bill arrived though, they had only charged us for one pizza. It really is a good time to be vegan. 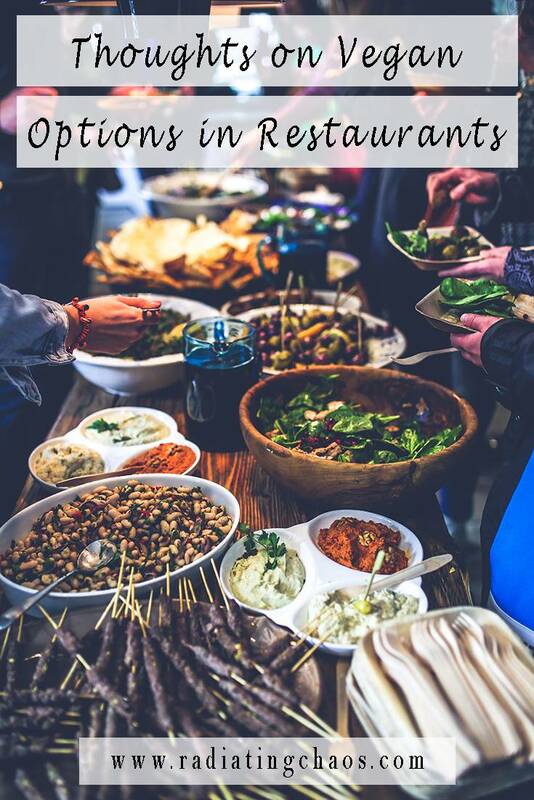 More and more restaurants are offering vegan options and even if there isn’t a specific menu available, many things can be adapted. But I feel like Zizzi, Prezzo and Wagamama have somehow slipped under the radar a little. 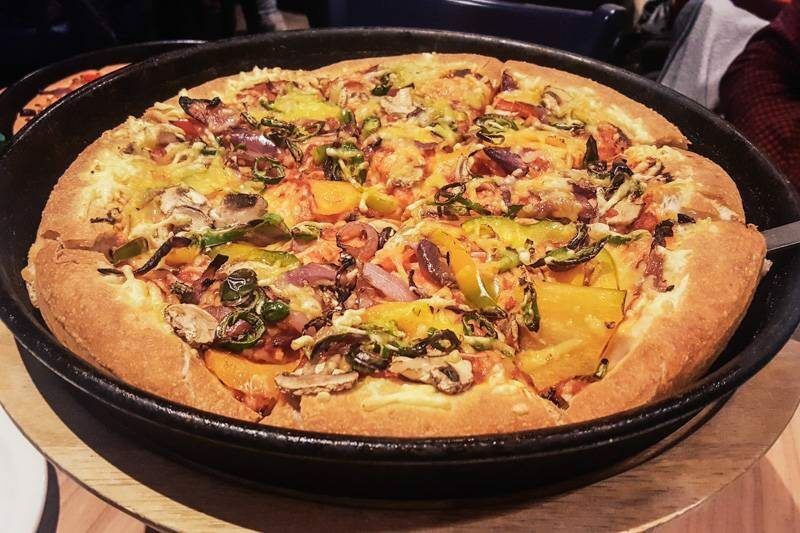 With their vegan options and staff who can string a sentence together – I’m struggling to see why Pizza Hut has received so much attention. Quality of food, taste (aside from coriander!) price and service are all so much better. Or maybe I’m just not Pizza Hut’s target clientele. And although the service can be a little slower than I would like At Zizzi and Prezzo, I never have to ask where my order is. For now, though, I suppose I’m just happy that more places are offering vegan options, and I’ll just have to enjoy Pizza Hut the only way I know how. As a takeaway, on two for one Tuesday’s. What are your thoughts on the vegan options now available in restaurants?